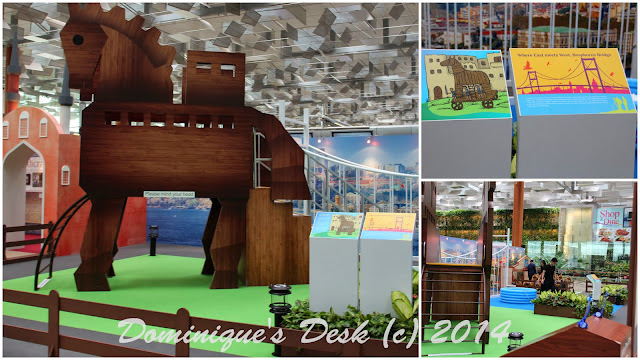 During the school holidays the kids and I went to view the latest exhibition , Exotic Turkey, over at Changi Airport Terminal 3. The kids and I haven’t been to Turkey but as their dad does travel to the country on business I felt that it was a good idea that they learned more about this middle eastern country and it’s unique heritage. The Trojan Horse based on the story about the city of Troy was the exhibit that caught the boys and my attention. We recently watched the show Mr Peabody and Sherman and there was a short clip on the Trojan war in the show. They could identify with the horse and couldn’t wait to climb onto it. The boys did give the event’s personal a big scare when they ran up the staircase from the back of the horse and attempted to climb down /jump down from the front. There weren’t any clear signage to let the kids know which side to go up the horse and if you have watched the show you would know that they enter the horse from the rear. Besides “horse climbing” the boys had the chance to ride on a mechanical around a track and also “fishing” for sweets in the foam pits in the centre of the set up. The boys were initially thinking of keeping the magnets instead of swapping them for sweets as it is always more handy to have magnets around to carry out various science experiments as compared to sweets. Luckily I managed to dissuade them by explaining that those magnets were props and not to be taken away from the set. The boys fishing from the same pond. Being the only kids participating in the venue the boys took their time to fish up all the tokens from both ponds. 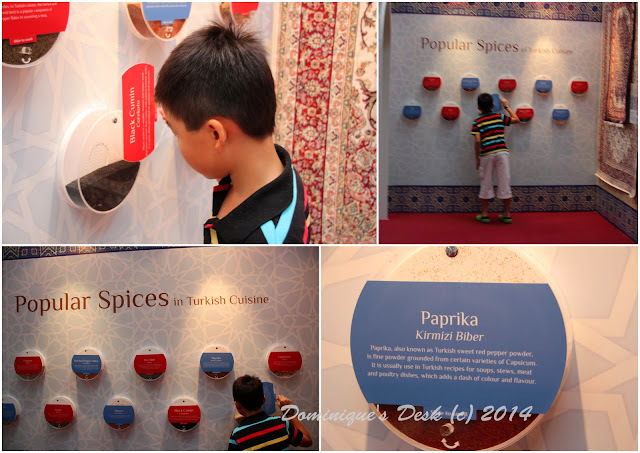 Besides the fun activities there was an educational corner whereby various products and foods that were unique to Turkey were highlighted. Pottery found in most households. They have very interesting handicrafts on display from carpets to ceramics. I liked the display at the spice corner. the kids not only got to view but also had the chance to smell the spices too. The hot air balloon display and facts board. 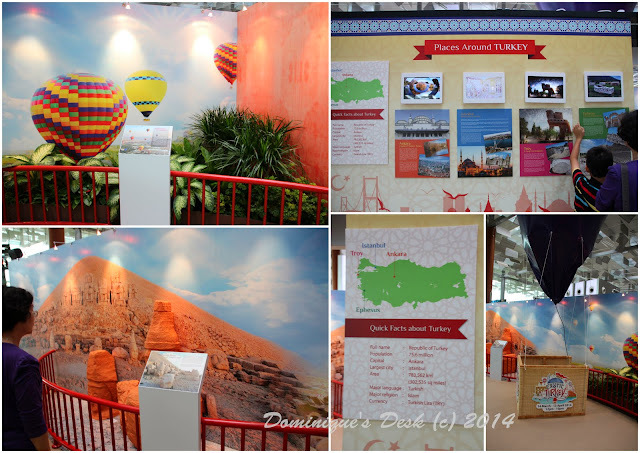 Besides spices and artifacts there was a corner featuring Hot air balloons and key places around Turkey. Visiting the exhibition was certainly an eye opener to the boys about the Turkish Culture and all of us had an informative and fun time there. Disclaimer: We were given a media invite to check out the exhibition. All opinions are 100% my own. 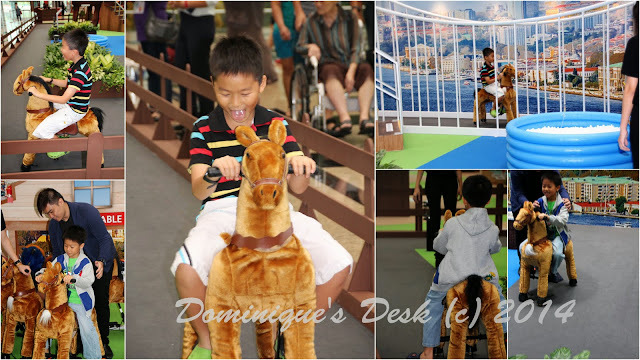 This is partly the reason why Changi Airport is considered the best around the globe! It’s not only modern; it has great facilities for all ages! Wow, nice exhibit. Looks like your boys had so much fun there. Changi Airport is truly one of the best.